Diamanda Galas – Not comparable…. 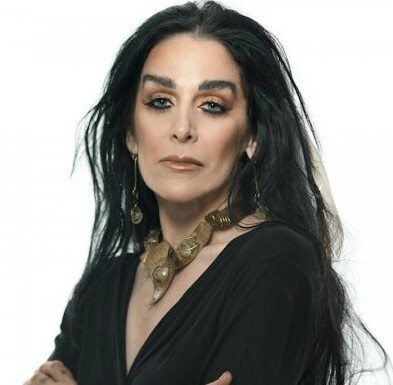 One of my readers wrote me and asked me about my opinion about Diamanda Galas, and I thought “OK, I will write a piece about her”… When I titled this post “Not comparable” it is of course due to the fact that as a singer Diamanda Galas cannot – ever – be compared to anyone else! What she does as a singer is so totally unique, it transcends all categories, makes her hard to classify, sometimes even hard to enjoy her records. Easy listening it is not – but a fascinating use of the human voice as an instrument used for conveying emotions – and a lot of times the emotions expressed by Galas are anger, frustration, rage and despair. I’ve looked a little deeper into the musical world of this truly fascinating artist – and even if these views are my personal ones, it might be of help to anyone who is curious about what this singer actually can do…. A photo of the “private” Diamanda Galas, looking relaxed and just plain gorgeous! Galas was born on August 29 1955 in California, to Greek parents – and as a young adult moved to Europe where she first made an impression when starring in Vinko Globokar’s opera “Un jour comme un autre” – where the leading character is a tortured Turkish woman. Galas has a truly magnificent voice, it spans several octaves, and she probably could have been one hell of an opera singer if she’d chosen that direction. Instead she decided to make use of her voice in a totally different way, and in the process creating a musical legacy which effectively separates her from any other singer on the planet. You might not enjoy listening to it, but it still grabs you by the neck, and thereby draws attention to whatever subject she is dealing with and whatever form of music she chooses to sing. And that – in my opinion – makes it impossible to be indifferent to what Galas does; Love her or hate her – in the end, she still is the vocal 8th Wonder of the world! She has (according to Wikipedias entry on her) been described as being “capable of the most unnerving vocal terror”, and yes occasionally that is a befitting label. However, this is not a description for her entire recorded output – she certainly can vocally terrorize you at times, but she is also capable of adjusting her voice to any and all kinds of musical styles – and there are several items to be found on her records that are just beautiful. In my opinion, Diamanda’s recordings can be roughly divided into two categories; the really far-out, avant garde stuff on one hand, and on the other her more main-stream material – but you still won’t mistake her for anyone else! Making her debut album in 1982, she spent her first decade as a recording artist making some truly unique albums – and then in 1992 releasing the first of (what I call) her mainstream albums, “The Singer”. Just the titles of her first albums should give you just a hint about what to expect: “The Litanies of Satan” (containing the track “Wild Women With Steak Knives” … – get it…?) (1982), “Panoptikon” (1983) followed by her “Masque of The Red Death” trilogy: it consists of the separately released albums; “The Divine Punishment” (1986), “Saint of The Pit” (1987) and “You Must Be Certain of The Devil” (1988). These were followed by “The Plague Mass” in 1991 – and later albums like “Vena Cava” (1993) and “Schrei-X” (1996) all have Galas front & center doing some of that “vocal terror” mentioned earlier. Heavy stuff indeed, but magnificently performed! Certain soul singers have been praised for being able to vocally cover all human emotions. Diamanda Galas actually does the same – but when the emotions include AIDS, mental illness, anger, frustration, degradation, injustice and such – it does sound a little less cozy than any of the soul girls praising the love of their life…. The debut album. From the cover photo alone, you know the songs here are NOT cute love ballads! Three of her albums are what I would consider easily accessible to a much wider audience, and are all suggested listening for anyone who is curious about Galas. They are; “The Singer” (1992), her collaboration with John Paul Jones “The Sporting Life” (1994) and “Malediction and Prayer” (1998). Working with Led Zeppelin’s John Paul Jones in 1994, produced the rock album “The Sporting Life” and if your taste in music include guitar solos, bass and drums all supporting a fabulous voice – this is your album! Diamanda proves that she once again can handle any kind of song, and she sings with style & gusto here, on material ranging from “Dark End Of The Street” to the Greek/Arabian inspired “Skotoseme”. Some CD editions include a bonus track: the last song, “Hex” is reprised in a “La Diabla Mix”, and so you can even hear Galas in a techno-inspired setting on a track you can actually dance to! “Malediction And Prayer” is a live record that came out in 1998, and stylistically it is in the same vein as “The Singer”. It does contain what I consider to be the greatest moment in her entire discography: She sings the old Supremes-hit “My World Is Empty Without You”! Taken as a slow ballad, it is sensitively and softly performed, bringing out nuances in the lyrics you never thought were there. Vocal terror?? Not one bit of it here, and so it proves that the “Queen of scream” also has the ability to do something vocally very beautiful and warm… It still is a million light years away from way back when Diana Ross sang it – but then again; Diana never delved this deep into the lyrics in the first place, and sang it just like any other Supremes-hit of the 60’s. I hope I have shed some new light on this very amazing artist, and I hope that anyone with an interest in music will lend an ear and find out for yourself if this floats your boat or not. 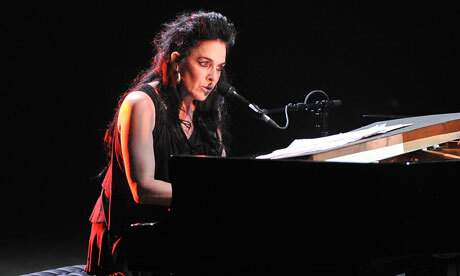 Like Yma Sumac, Edith Piaf, Oum Kalthoum and Linda Ronstadt among others, Diamanda Galas has a voice and style that is instantly recognizable, all her own, she will never be mistaken for anyone else. Which, when it comes to great singing – really is what it’s all about. Great insight on an amazing artist. It is wonderful to be around to witness an artist who had the breadth of courage to take on genocides and plagues…who was too wise to let her talent be used and exploited for industry purposes but instead cared too much about what life had shown her and used her talent to tell the truth about all she had learned of it. Thank you for your kind comments! 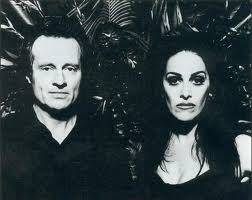 In the “school of life”, Diamanda Galas obviously is a grade A student! She has an amazing ability to take what life has shown her and turn it into great art, all the while reflecting the less nicer sides of what us human beings can experience as we live our life. She is, as you say, clearly too wise to be used or exploited in any way – and even though I don´t know Miss Galas personally, she seems to be a woman of both intelligence and integrity. I always considered music to be the most intelligent way of expressing emotions, and Diamanda Galas is proof positive that my assumption was correct I think… She is truly unique! feel that my time thusfar has been justified. Thank you both.